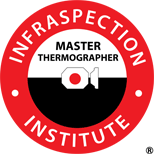 The following is a list of Infraspection Institute Master Thermographers®. To view an individual’s credentials, click on the view profile button. Persons listed in the directory are not necessarily recommended or endorsed by Infraspection Institute. Jack Allinson Allinson Infrared Inspection Services, Inc.
Christopher M. Cox Hot/Shot Infrared Inspections, Inc.
Scott Davison Local Electrical 2005 Ltd.
David Hoole American Boiler, Inc.
Sonny James Thermal Diagnostics Ltd.
Ryan Lillicotch American Boiler, Inc.
Ronald R. Whitt MC Dean Inc.
• What is the Master Thermographer Program? • How Does Master Thermographer Differ from Certification? • Does Master Thermographer Replace Infraspection Certification? • Who is Eligible to Become a Master Thermographer? • Does Master Thermographer Designation Expire? • Who Else Benefits from the Program? • Why Should I Become a Master Thermographer? • What do Master Thermographers Receive? 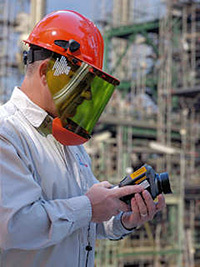 • Is it Expensive to Become a Master Thermographer? • How Do I Become a Master Thermographer?